When IoTaWatt powers up, it attempts to connect to the last WiFi network used. A connection must be established to an internet connected network if the real time clock is not set, or to run the configuration utility, or if logging to an external server like Emoncms is desired. 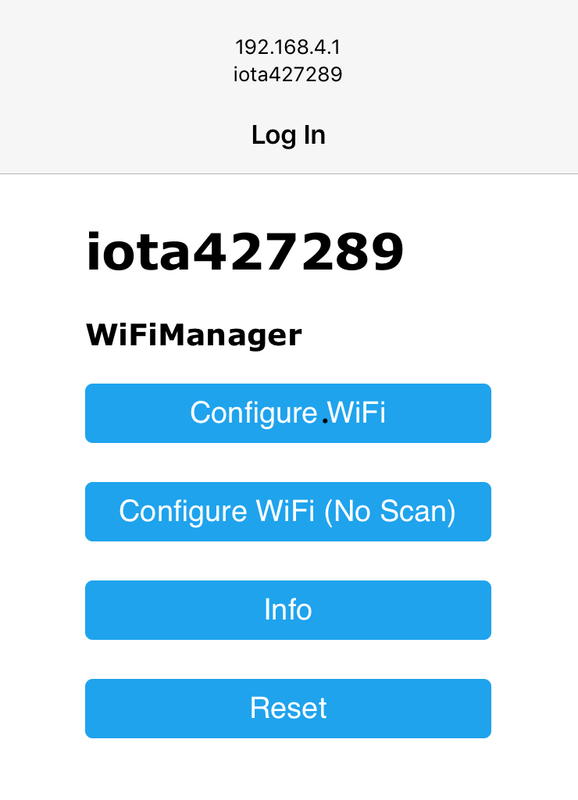 It is strongly recommended to connect the IoTaWatt to a WiFi network with a reliable internet connection. 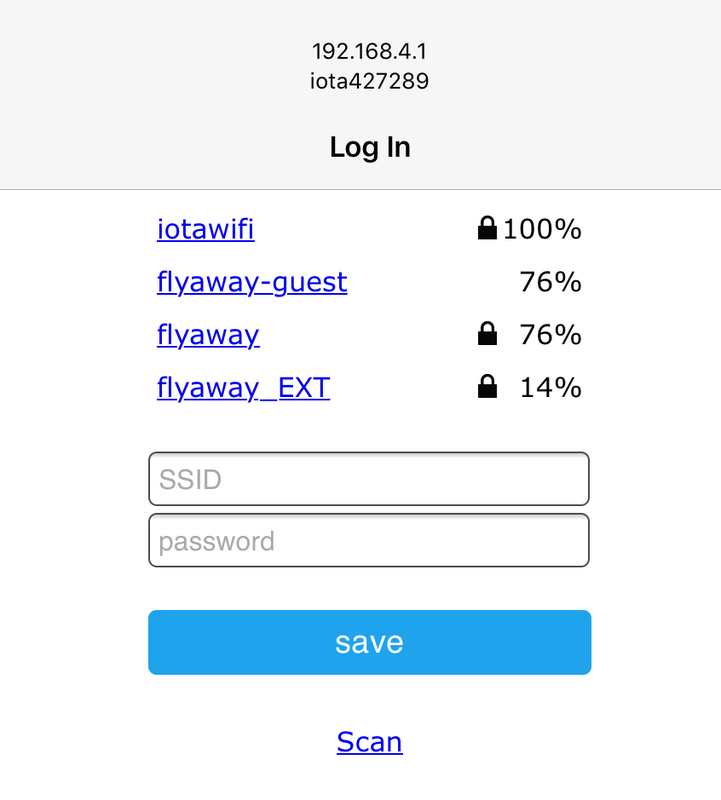 If the IoTaWatt has never been connected to a WiFi network (new), or the last used network is not available, the ESP8266 will enter AP (Access Point) mode when powered-up (not on a software restart). This state is indicated when the LED flashes the three color sequence RED-GREEN-GREEN. It will broadcast an SSID recognizable by the prefix iota followed by a unique number. Connect to it using a smartphone or tablet. Use the password IotaWatt (case sensitive). If the device was previously configured and the device name was changed, that new name will be the password required in this step. After connecting, a page will be rendered with several choices. Select Configure WiFi. A few seconds may elapse while the IoTaWatt scans for the local networks, then another page will be rendered allowing you to select one of the listed networks, or specify another network not listed. Select your network and enter the password, then save. Once connected, the new WiFi network credentials will be saved and the device will continue it’s startup procedure. If you see another LED sequence, refer to the troubleshooting section.